Having a pool table is great. It gives you and your family a place to bond and can make you a popular host for social events. 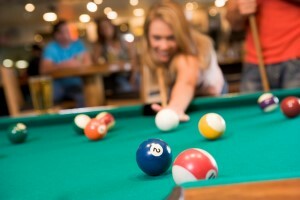 Yet before calling in a team of pool table professionals for your installation, there are a few things you should know. Do you have enough space? Do you know how to care for it? Make sure you're a good candidate to have a pool table and set yourself up for long-lasting success with this type of a recreational element by gaining some insight. You'll be glad you did. Do you actually have enough space? Sure, you have a room that looks like a pool table will fit, but will there be enough space to actually use the table? Ideally, you should have 5 feet of clearance for each side of the table. This enables users to move around freely and, more importantly, have room to use the pool cue without restriction or damaging the walls. It's important to understand that if you decide to move your pool table, you'll need to hire a professional. It's not the type of task you and your buddies can get together and handle, or at least you shouldn't attempt it. You can easily end up damaging the table, your walls, or have an injury that you're liable for. Call in the experts for pool table relocation. Know those ads where they show people mingling around a pool table having fun, drinking beer, and at least one person is using it as a seat. Well, don't! While it's not the worst thing you can do to a pool table, it's not a good habit to pick up. It can eventually throw the table out of level, damage the finish, or cause other damages to your rails. Provide chairs in your games room so you and your guests have other seating options. There is some general maintenance that comes with owning a pool table. While it may not be intensive enough to cause anyone to not buy a table, it is something you should be aware of before making the commitment. Dusting the rails and polishing wood, for example, as well as brushing the cloth. These are all things you'll want to take care of on a regular basis. To learn more or to arrange for San Jose area pool table installation, give The Pool Table Pros a call. If you need professional pool table services in the San Jose area, give us a call at 408-499-6300 or complete our online request form.